The island is home to over 280 species of birds. It’s possible to spot warblers, parrots, osprey frigates, flycatchers, and the lineated woodpecker while bird watching in Panama. Our expert Birdwatching guide, Jorge Lopez, is a native of Las Tierras Altas. With just some binoculars, your adventure starts as you spot new Lifers while hiking through our tropical jungle. 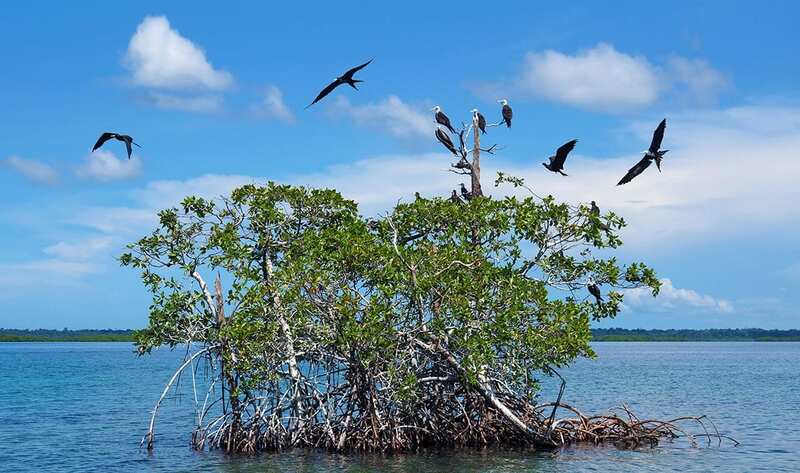 Take a trip to Islas Coco, a 40 minute boat ride, where you will see one of largest colonies of Frigates in Panama. Relax and watch these magnificent birds’ hunting techniques as they feed on fish that were taken during flight from the ocean’s surface. Our Panama birding tours include optional snorkeling around the coral reefs as well as opportunities for a picnic on a pristine beach.